The Toronto Real Estate Board reported 92,867 residential sales through the TorontoMLS system in 2014, including 4,446 in December. The calendar year 2014 sales result represented a 6.7% increase over the 2013 sales figure of 87,049 and was just short of the record set in 2007. "TREB's 2014 sales figures are a testament to the importance Greater Toronto Area households continue to place on home ownership. GTA households realize that home purchases have been a quality long-term investment. 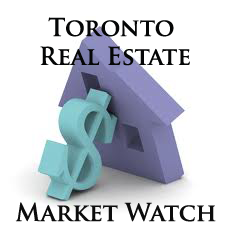 While home prices certainly increased substantially in 2014, the purchase of an average priced home remained affordable, in terms of the average household's ability to comfortably cover their monthly mortgage payments," said TREB President Paul Etherington. The average selling price continued to grow on a year-over-year basis in calendar year 2014, with an 8.4% increase over calendar year 2013 to $566,726. This included a 7% increase in the December 2014 average selling price to $556,602. Throughout 2014, annual increases in the average selling price and the MLS® HPI Composite Benchmark were consistently reported on a monthly basis for most market segments, from detached homes through to condominium apartments.